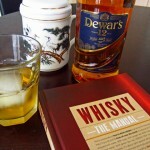 In his introduction to Whisky: The Manual, author Dave Broom says that the idea that whisky is supposed to be sipped neat is actually a recent phenomenon: “At any time when [whisky] reached its greatest heights of popularity it was a drink consumed mixed or drunk long – as a Toddy, in a Julep or a Sling, as a Punch, a cocktail or a Highball.” Broom is the award-winning author of eight books and has been writing about whisky for 25 years as a journalist and author. Forbes dubbed Broom’s 2010 coffee table book, The World Atlas of Whisky, the “best whisky book ever.” An updated version of The World Atlas of Whisky is scheduled to be published this fall. 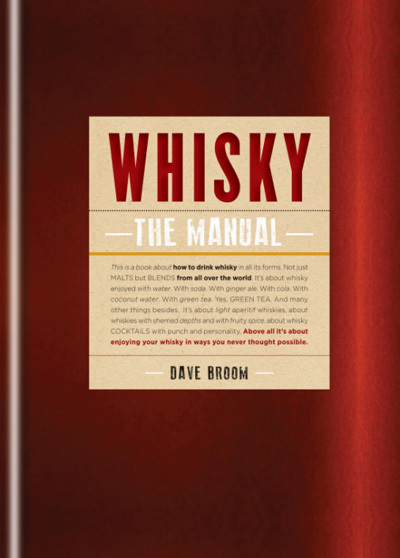 Broom’s new book is about how to drink whisky, drawing on 500-plus years of history to expand the possibilities beyond drinking it straight, to include mixers both traditional (water, soda) and unexpected, such as green tea and coconut water. Broom begins at the beginning, presenting a historical timeline that’s informative for newbies, yet filled with enough details and anecdotes to interest knowledgeable whisky aficionados. Broom traces whisky’s emergence around the world, from its introduction to America and Canada, to its arrival on the shores of Japan. There’s an overview of whisky production, while sidebars include historic recipes for whisky punch, Highland bitters, scubac and more. Boece’s Garden Aqua Vitae features Broom and London bartender Ryan Chetiyawardana creating a modern version of a centuries-old drink, steeping herbs in new make spirit and cooking it sous-vide. The Mixing section is sure to raise many a whisky purist’s eyebrow. Broom makes the case for why soda water, ginger ale, cola, coconut water and green tea work so well when mixed with whisky. The heart of the book is How to Drink Whisky, featuring 102 international whiskies that Broom tasted with the aforementioned five mixers. The combinations are rated on a point system, from 1 (“Avoid”) to 5 (“Superb. Great enhancement and a seamless mix of the two ingredients, with the whisky revealing more of itself.”). The highest rating is 5* (“The best. A must-try. The whisky transformed into a magnificent drink.”). Broom notes that a score is not reflective of the spirit itself, only the mix. Before diving into the mixes and scores, Broom introduces whisky “Flavour Camps,” grouping malts, blends and North American whiskies with designations such as B1 (“Light & Fragrant” Blend), M4 (“Smoky” Malt), and NAM3 (“High Rye” North American). Each category has an in-depth explanation. Every whisky in this section has tasting notes and a chart with the whisky’s Flavour Camp and five mixer scores. For the mixes, Broom selected whiskies that are widely available. He notes with fascination that some brands that are sneered at by drinkers – who only try these whiskies neat – “come alive” depending on the mixer. Case in point is Jack Daniel’s. The familiar Jack and Coke scores a 3, while three other mixers – ginger ale, coconut water, and green tea – receive a 4. Still, it’s tough to picture Sinatra ordering a “Jack and Vita-Coco” with the same panache. 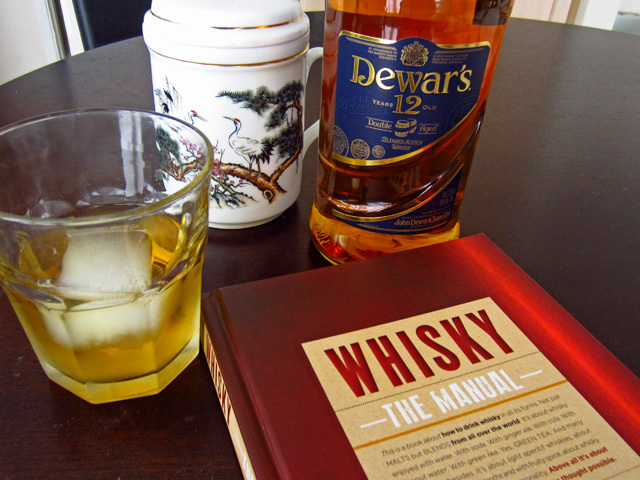 A few whiskies are rated “N/A,” meaning that they don’t play well with others and are best enjoyed without a mixer. Among these are Aberlour A’bunadh, Macallan 18, Redbreast 12, and Yamazaki 18. The final section is devoted to cocktail recipes, from classics like the Highball and the Manhattan (“the ur-cocktail”) to New Spins, featuring modern creations from bartenders in London, Sydney, Tokyo and more. Broom admits that some of the techniques might not be of interest to the home enthusiast, but they’re a fun read regardless – e.g. the garnish for the Ceres Joker is an exploding balloon.